The COP-20, and its “Lima Call for Climate Action” joint declaration, left mixed feelings on me. On one hand, it kept the goal of limiting global warming to less than two degrees and somehow still commits to ensuring that the world needs to be net-zero emissions by 2050. On the other hand, it didn’t clarify if a new deal will be legally binding neither it gave countries the power to alter other countries’ commitments nor it offered new assurances on the flow of climate finance. From my point of view these, and others, very important topics shouldn’t be left without clear directions if we want the COP-21 agreement to have a real impact on climate and to be the turning point on our environment degradation. Governments, and all the involved stakeholders, should understand that taking a firm and compulsory commitment is the only way forward. Climate change effects are going against us all and also, of course, affects private sector. The private sector should be fully committed in climate change fighting through their commitment to activities such as energy efficiency, renewable energy adoption and through the adoption of internal environmental policies. The investment needed to develop low carbon infrastructures (including transport, energy, water and cities) is estimated at around 6 thousand billion USD per year during the 15 next years and the private sector will be, as contractor, one of its main beneficiaries. Then it also needs to commit to these principles and teach by the example. The digital era is here to stay and, with the development of IT over the last years, the digital and energy transition allows us to put the environment and machines at the service of the user, besides minimizing their consumption and emissions while piloting their behavior. Sharing of digital information connects ecosystems together to maximize their efficiency (for example report in real time the measure is key to success in industry field). The sooner we embrace the energy digitization, the better for the environment. We all know that our planet is in big danger due to global warming. Ice caps are melting, sea levels are rising, weather events are getting more extreme and this is just the beginning. Now, let´s imagine for a second that we could shut down 2,000 thermal power plants and therefore reduce yearly 800 million tons of carbon dioxide emissions into the atmosphere without scarifying any of our energy needs. Wouldn’t that be great? Well, this is exactly the opportunity we have in front of us today if we, for instance, are serious about energy efficiency! It´s time to act now, because failing to do so will have HUGE IMPACTS in our lives and in the lives of our children and grand-children. It´s time to act for governments, setting-up the schemes to put energy efficiency and access to energy as top priority in every country. In Paris next December, there will be no more time for ambiguity: it will be time for bold commitments. It is time to act for companies, leaving aside short term interests and taking responsibility of the role they have to play in making this happen. But It´s also time to act for all of us, as consumers and citizens, being responsible in every decision we take. 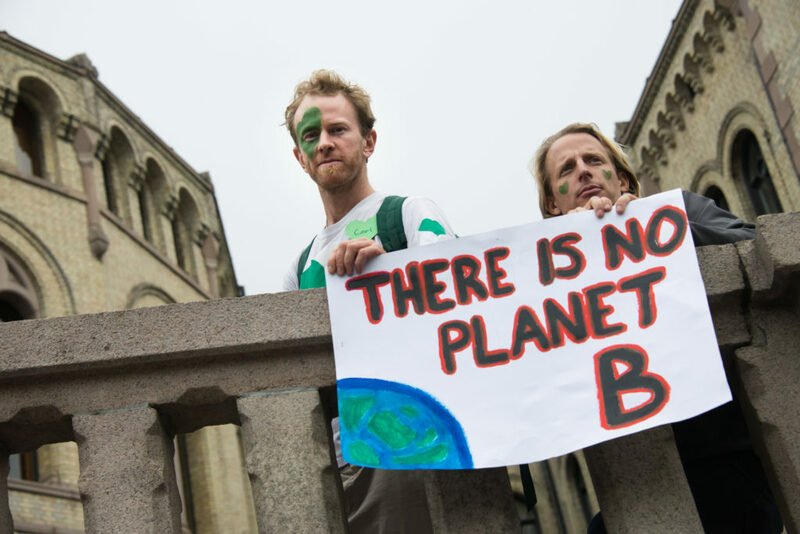 It´s time to act now: the future of planet is at stake. Let´s not wait until is too late.